As a graduate student in Scotland, President-elect Hassan Rouhani wrote about two deeply debated issues: the flexibility of Islamic law and the separation of powers in an Islamic democracy. His work in the mid-1990s echoes many of the reformist ideas at the time. Glasgow Caledonian University released abstracts from his master’s and doctoral degrees shortly after his election in response to new public interest. Rouhani attended the Scottish university under his birth-name Hassan Feridon. 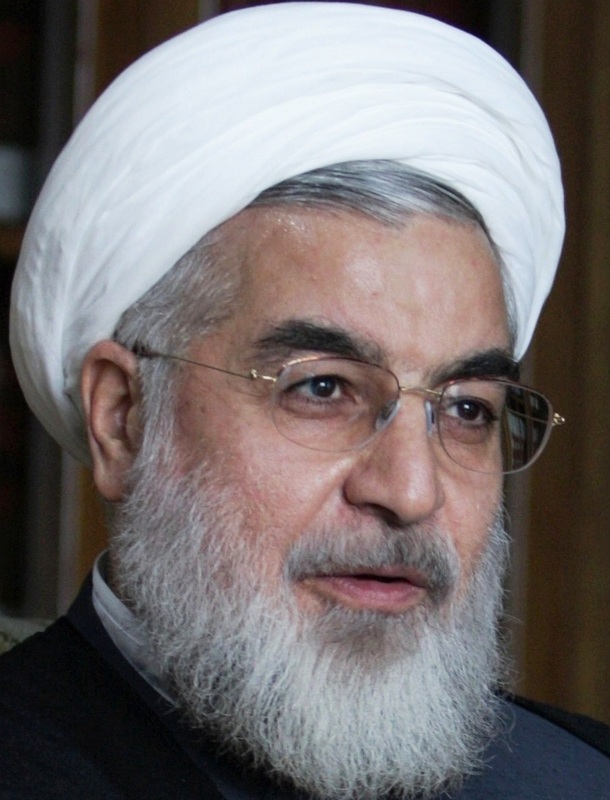 Rouhani, which means “spiritual,” was added after he became a cleric. The following are abstracts with links. This thesis verifies that no laws in Islam are immutable. Immutability is only applicable to the faith, values and ultimate goals in Shariah. Those laws which look immutable even in ritual part of the religion are not actually immutable and are subject to change under special circumstances. Islamic laws have been developed out of certain conditions and necessities of the time and space. This flexibility must known as the essential feature of the Islamic law. The framework for this flexibility and change has been predicted and verified in the main sources of Sharia i.e. the Quran, the Sunnah, Ijma, Qiyas, Aql and urf. The primary source of the Islamic law (the Quran) is, in itself, flexible on the basis of the analysis that the Quranic legislation leaves from for flexibility in the evaluation of its injunctions. The Quran is not specific on the precise value of its injunctions, and it leaves open the possibility that a command in the Quran may sometimes imply an obligation, a recommendation or a mere permissibility. Commands and prohibitions in the Quran are expressed in a variety of forms which are often open to interpretation. Islam comprises a systematic and coherent legislative power. The Quran and the Sunna (Sharia) together establish the Primary sources of law in Islam. The Secondary sources lend themselves to debates and arguments among Islamic scholars. The most important secondary sources are ijma, qiyas, aql, and itjtihad. Allah (the creator) is recognized as the supreme lawgiver in Islam. The holy Prophet, as the messenger and the Leader of the Islamic community, ranks the second main lawgiver who communicated the revelation to the Muslims and regulated the affairs of the Islamic society. The Sharia, created by Allah and conveyed by the Prophet, is immutable and eternal. Where there is no explicit law (Mantaqah-al-Feraq) in Sharia, legislation has been permissible and necessary. For this purpose and in order to meet the ever-changing requirements of society, the example set by the Prophet in the use of consultation led to the eventual recognition of two other lawgivers recognized as the foqaha and the Consultative Assembly (Majlis-al-Shura). As will be discussed, the method of consultation, its continuation and extension as demonstrated and exemplified by the Prophet, has been the prerequisite for today’s Islamic society and era, and has led to the establishment of the Consultative Assembly ((Majlis-al-Shura). Foqaha are to reach and discern an understanding of the Sharia. Whereas Majlis-al-Shura deals with the more complicated daily problems and needs of society and such policy-making issues requiring the special skills of experts, not specified in the Sharia. It will be determined how such legislative authorities provide the Islamic legislative system with a dynamic capability. Islamic system approves of the principle of the separation of powers and recommends the implementation of this principle as a guarantee for the realization of democracy. The opposition of Islam to any centralization of power leading to despotism and tyranny will be a matter for discussion. It will be subsequently discussed that the Islamic Republic of Iran can be taken as a prototype of an Islamic legislative system. Iran’s Islamic Consultative Assembly (the Majlis) is the central body for formulating and passing laws, and as it will be argued, the nature of law-making in Iran is not in contrast with that of the West. The only difference is that in the West the principles of the Constitution are solely observed, whereas in Iran, the Islamic principles have an equal place in addition to compliance with the Constitution. To serve this dual role, two further institutions – namely the Council of Guardians and the Expediency Council – have been established to supplement the functions of the Islamic Consultative Assembly.